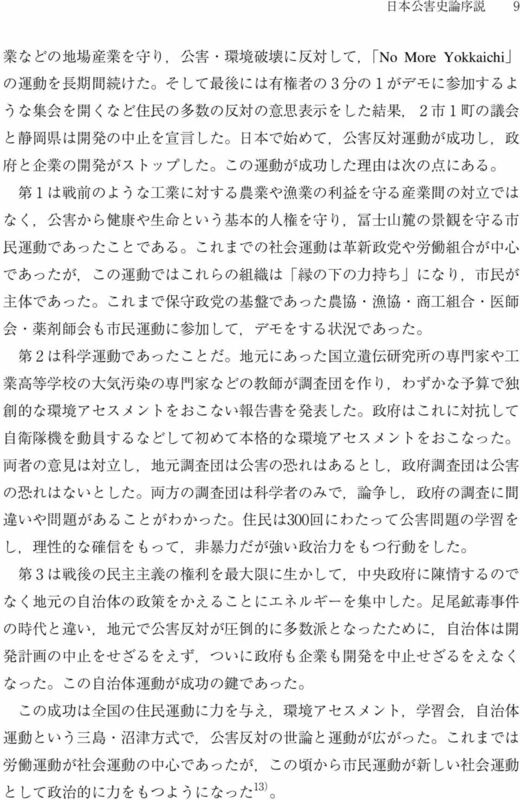 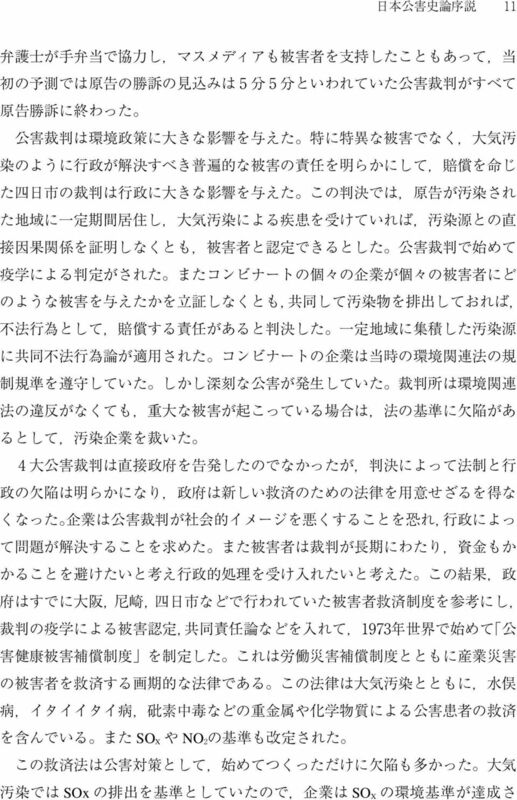 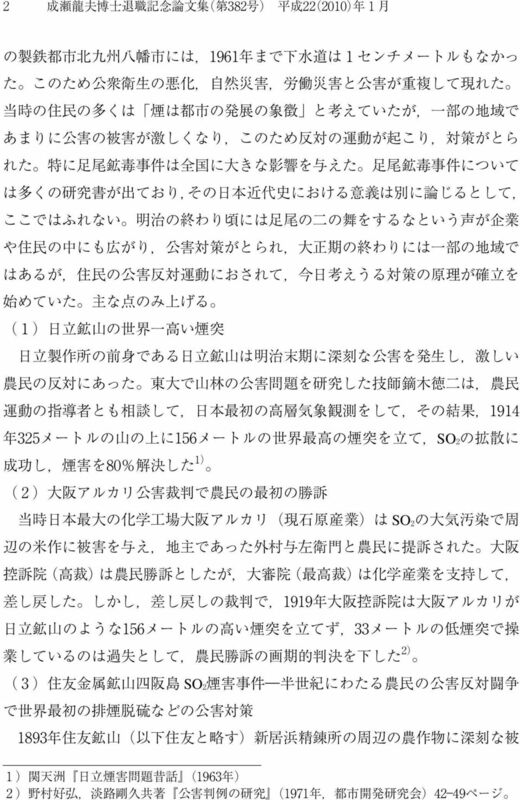 26 Kenichi Miyamoto Abstracts In the process of civilization in a western way after the Meiji Restoration, Japan repeated pollution problems that the U.S. and European coutries had already experienced. 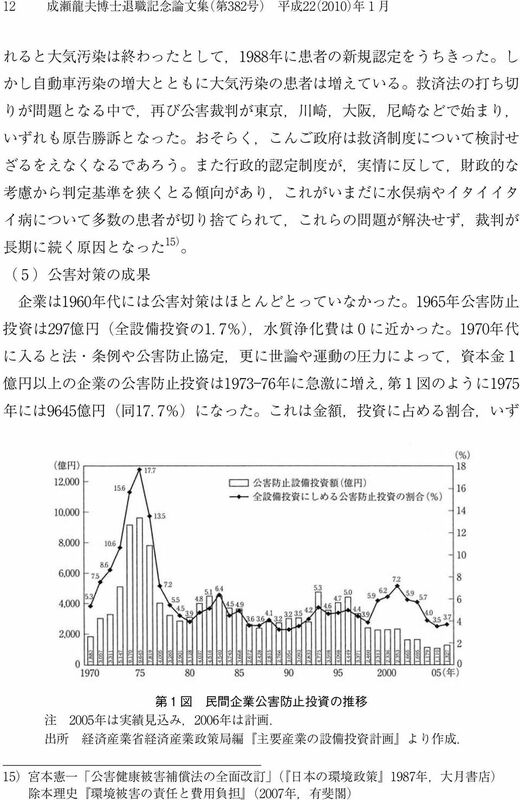 The Japanese government and economic circle tried to accomplish its economic development only for few decades even though England took 300 years to its economy after industrial revolution. 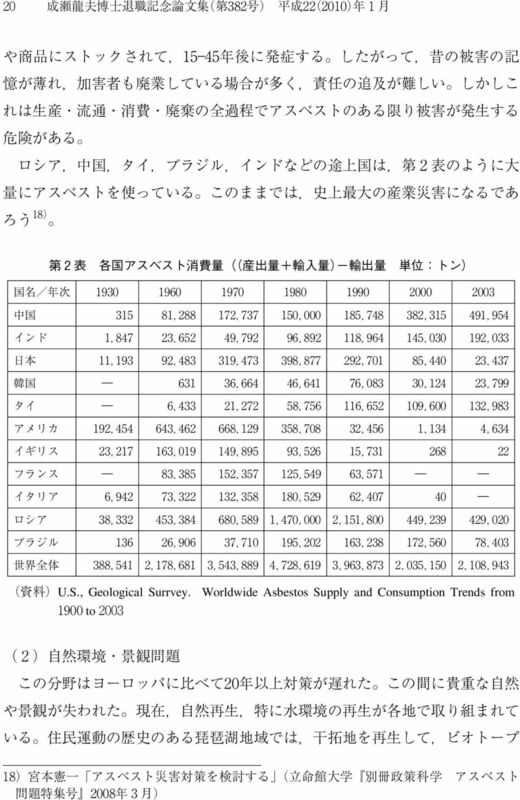 Such economic growth was so rapid that all sort of pollution and environmental problems appeared at the same time. 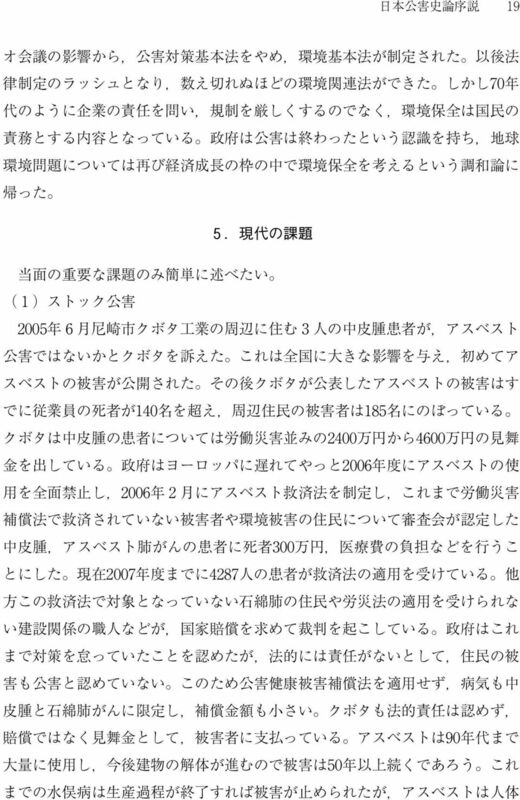 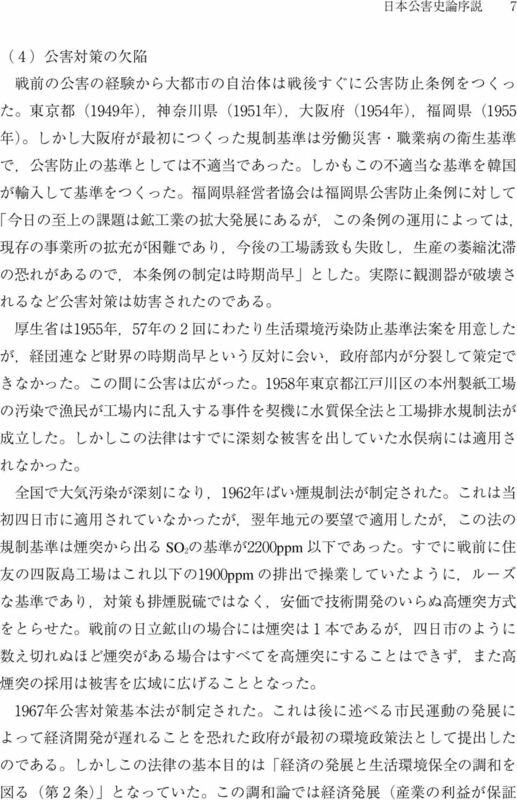 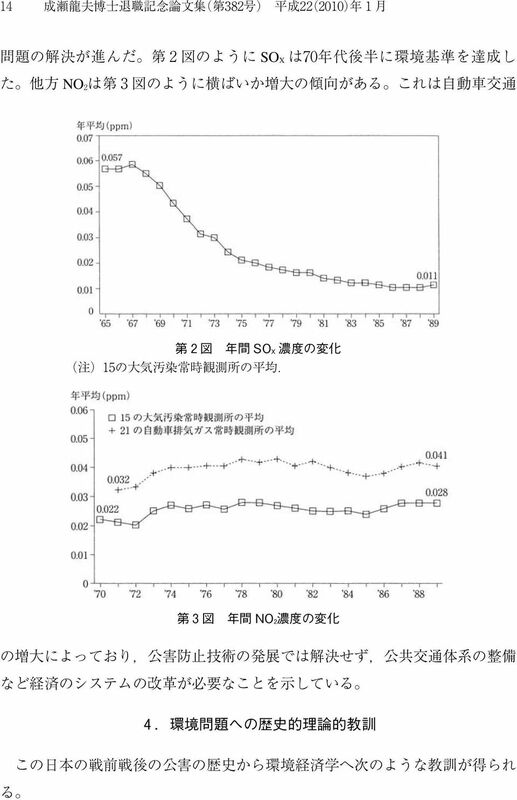 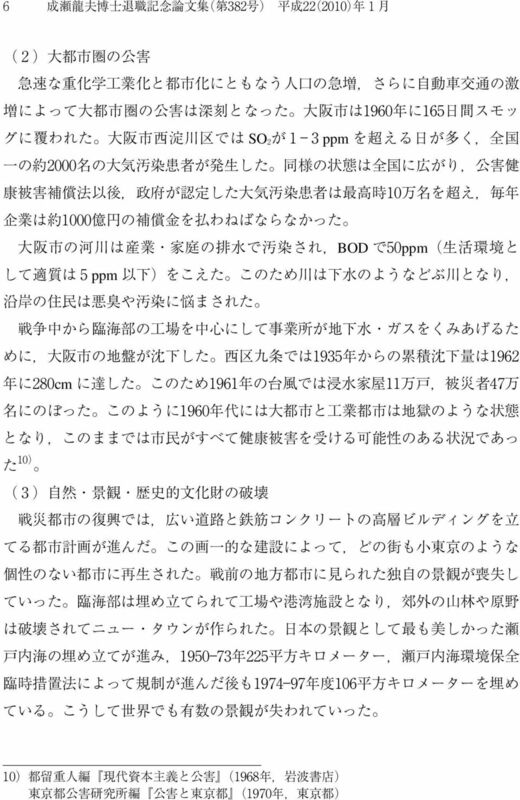 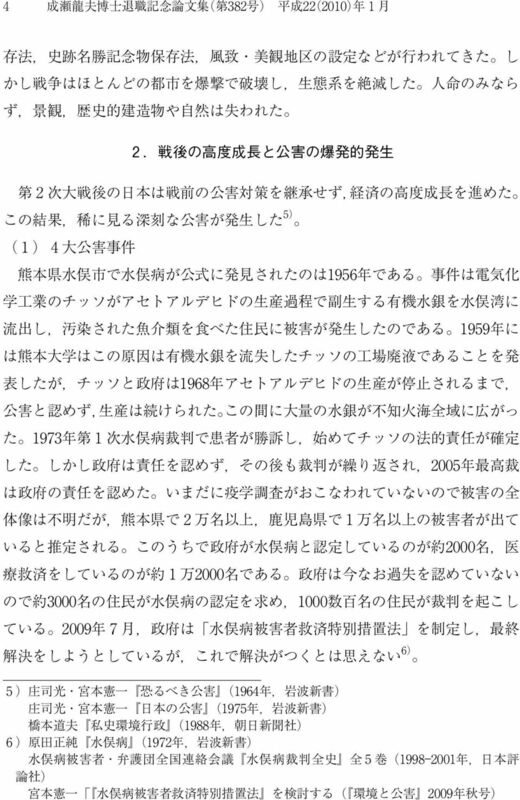 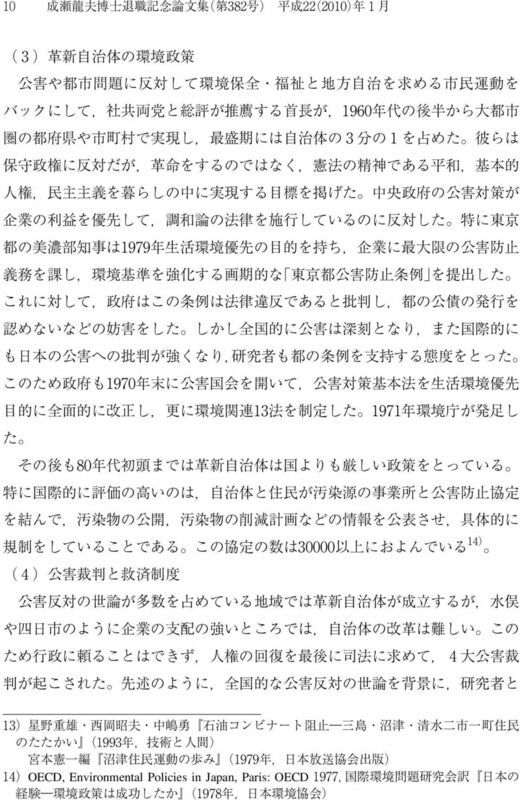 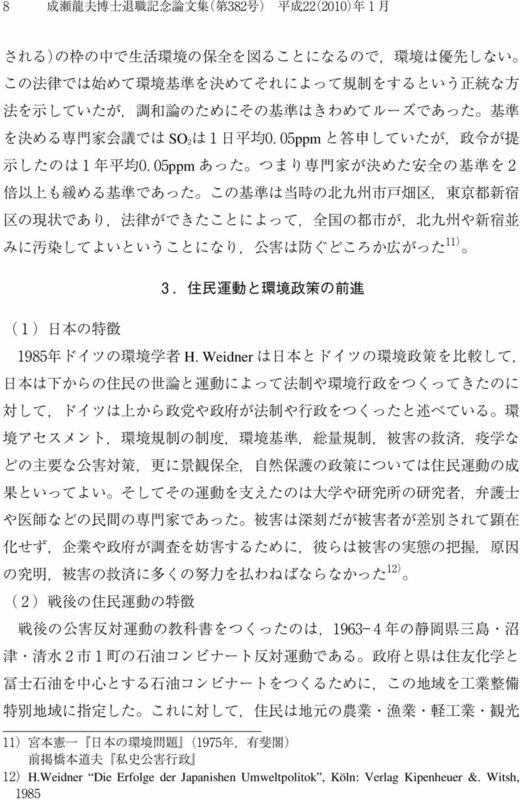 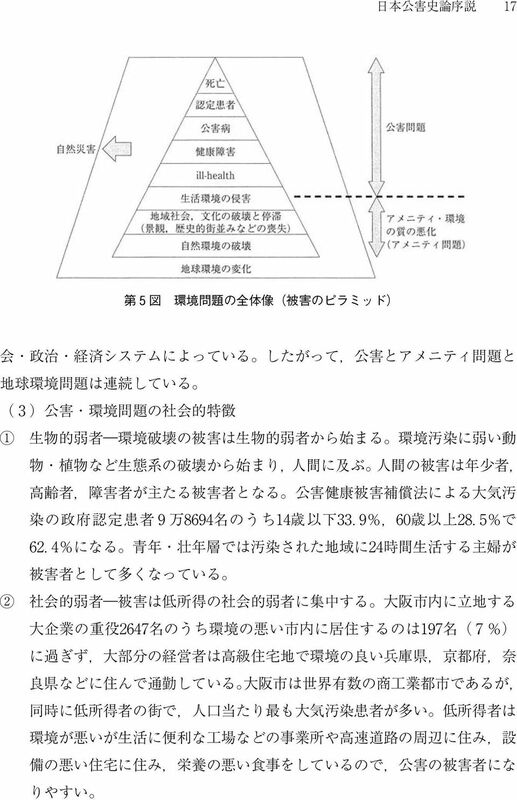 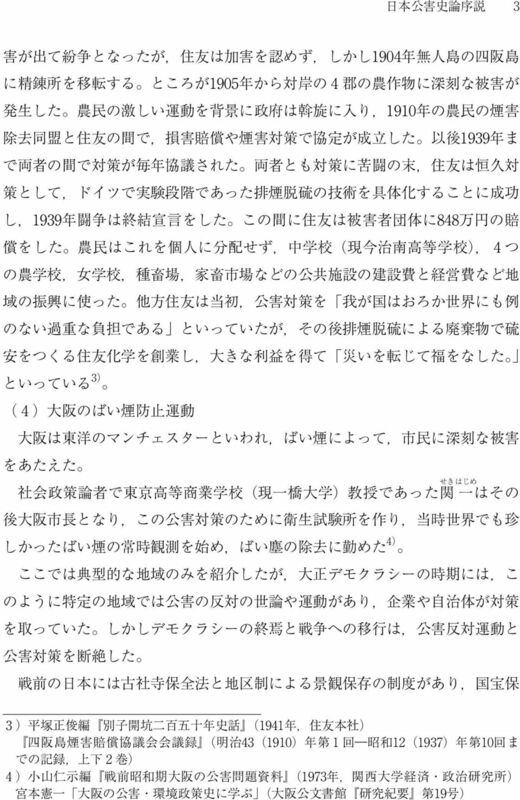 In the middle of the 1970 s, under th pressure of citizen s anti-pollution movement, Japan had already solved problems concerning air pollution of SOX and water/land pollution of mercury poisoning/cadmium poisoning although there ware severe pollution, such as Minamata disease, after WWII. 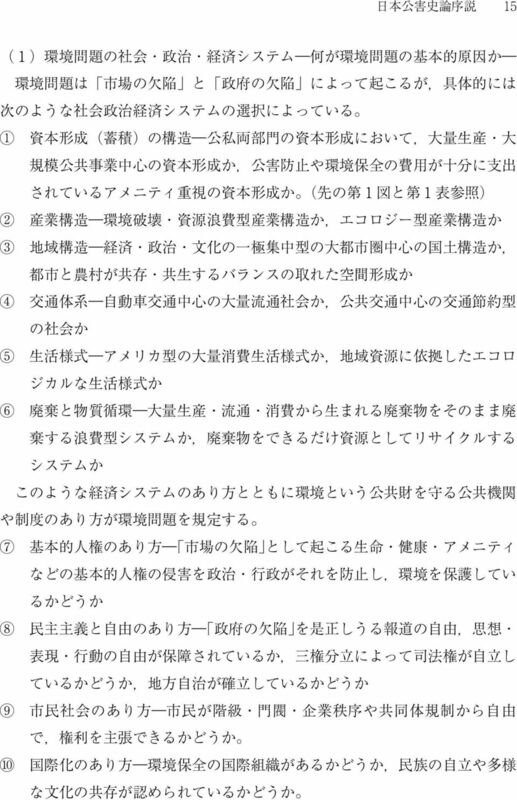 As a result, a lot of experts and researchers visited Japan in order to research its pollution problems and measures. 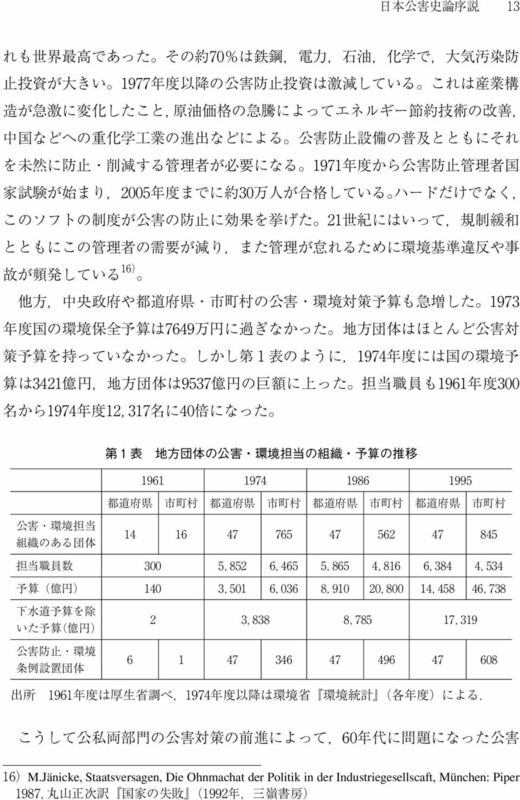 After the 1990 s, there has not been advanced measures and citizen s movement in Japan, compared to those of European Union (EU). 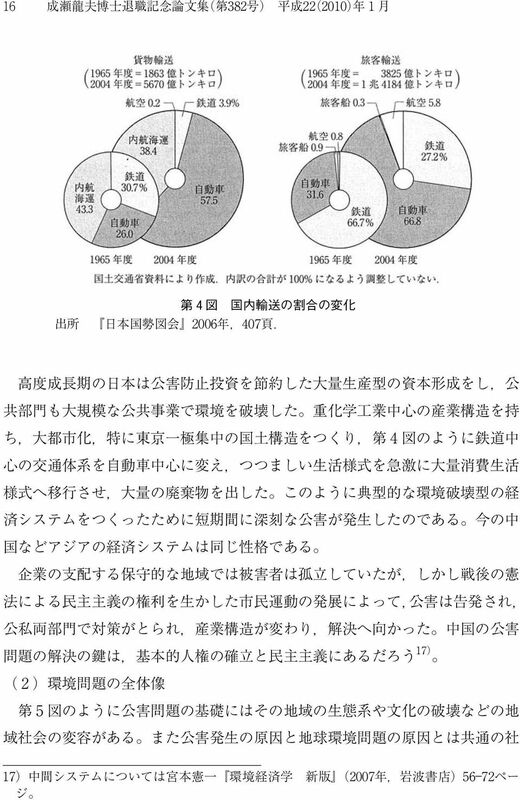 However, still, studies on environmental issues and lessons from Japanese environmental policy have affected on Asian countries such as South Korea and China. 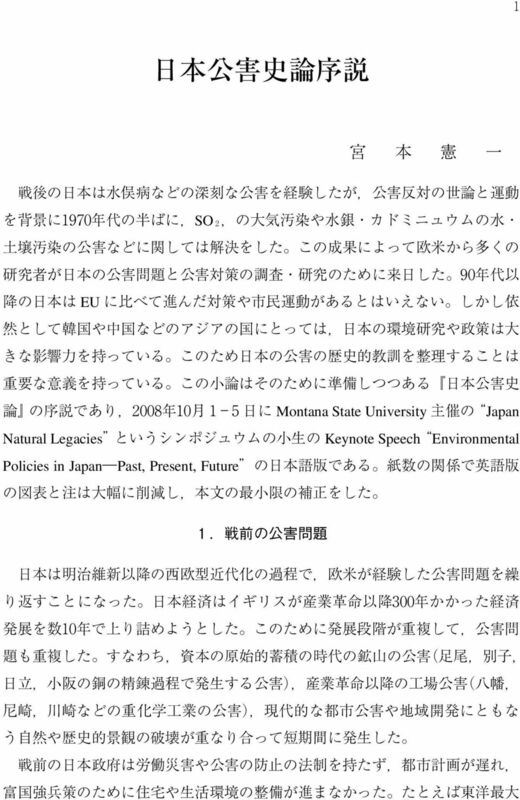 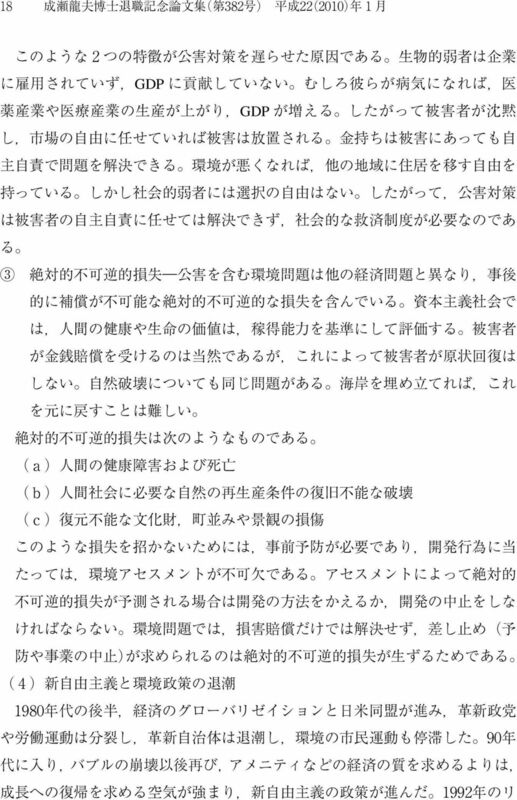 Thus, this paper avaluates Japanese environmental policy historically, and tells the lessons from its experiences and problems of its exisiting policy.